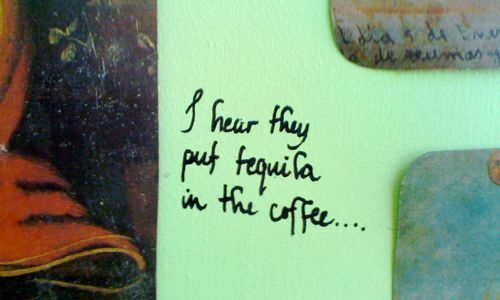 Writing on the wall: I hear they put tequila in the coffee…. Kramer Wetzel, You rock! I don’t have a subscription but once our financial load has shifted a bit, I will get one. I always tune into your “last week’s scopes” on Thursdays and you are so on the mark every single time! And, I love your stories. I’m a Cancerian (7/14-yes, Bastille Day!) I just wanted to say thanks for sharing your humor and expertise with everyone who is smart enough to tune into your website.